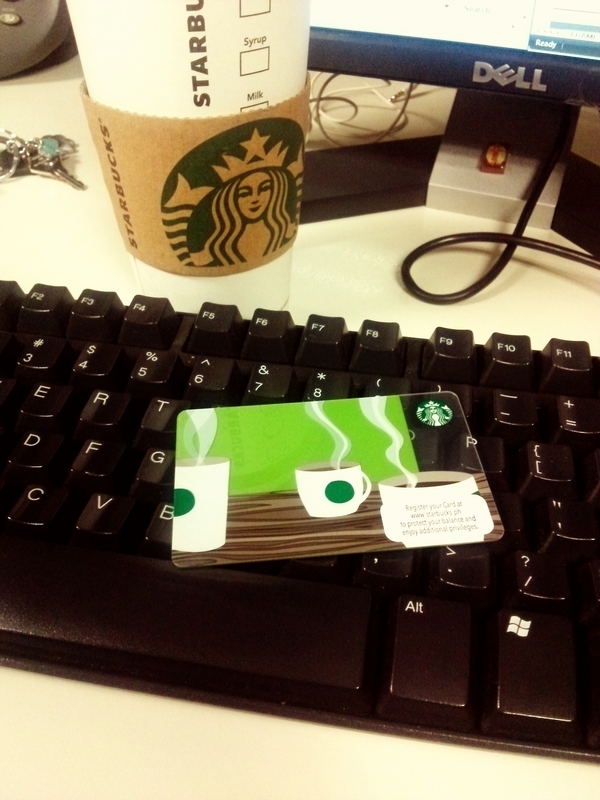 Starbucks Gift Card | Tell Me… Am I From This World? Finally got my own Starbucks Card!! For just Php300 (around $7), you can get your own Starbucks Card and use the same amount to purchase your favorite beverage and earn your stars.. And once you registered, you will be rewarded a Grande drink of your choice plus a treat on your birth month.. Isn’t it nice!? And every time you present your card for purchases, you’ll earn your stars wherein once you reached 12 stars, you can redeem it for your fave beverage.. You can also earn stars by buying coffee beans and VIA.. Aaawwww… That’s why I love Starbucks!! Previous PostSaint Maximilian Kolbe, Priest, Martyr (1894 – 1941)Next PostThe Conjuring — Worth Every Gasp..